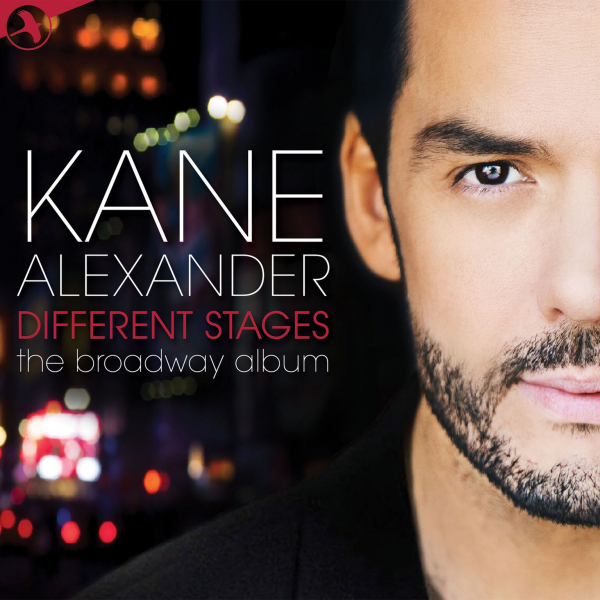 With years of experience on the musical theatre stage, the time is right for Kane Alexander to release his second album, Different Stages: The Broadway Album, a collection of Broadway’s most popular tenor ballads and duets. Alexander’s early career involved both musical theatre and cabaret, with the latter clearly heightening his ability as a storyteller through song. A handsome, talented performer, Alexander was always going to be in demand for leading man roles such as Billy Crocker in Anything Goes and Claude in Hair (both for The Production Company, Melbourne). Not just a pretty boy, Alexander’s quirky work with character roles scored him parts such as Scarecrow in The Wizard of Oz and Willard in Footloose (both in Sydney in the early 2000s). Remember when Melbourne Theatre Company used to do musicals? (They used to do them very well.) 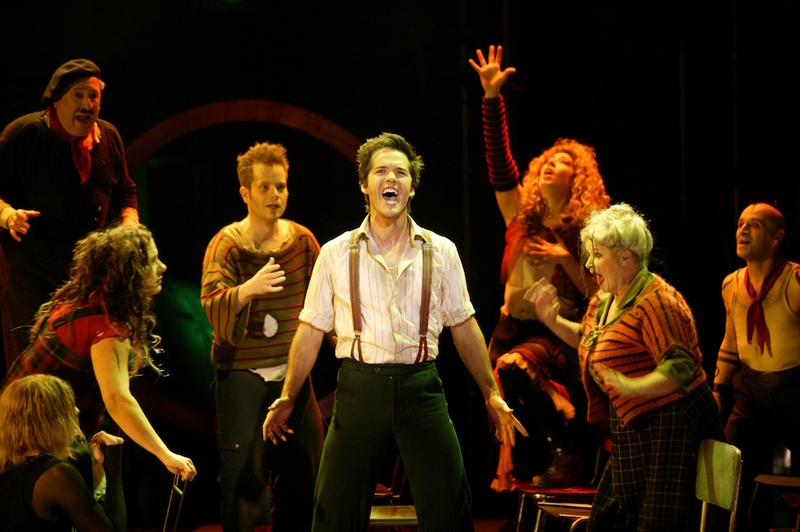 A breakout role for Alexander was the romantic rebel Bobby Strong in MTC’s unforgettable 2004 staging of Urinetown. Melbourne audiences have recently welcomed Alexander back to the musical theatre stage, where he has played lead roles for exemplary new independent production house Life Like Company. After starring as the dashing army captain Giorgio in Passion (2014), Alexander went on to play gritty private eye Stone in City of Angels (2015). The seventeen songs on brand new album Different Stages span more than five decades of Broadway musicals. There are songs from roles Alexander has played, the roles that got away and roles he is yet to play. While many a Broadway album simply consists of singer and piano, Alexander’s wonderful vocals are accompanied by the lush sound of the English National Symphony Orchestra. The album grabs attention from the first track, in which Alexander, and music director David Cameron, finally solve the problem of how to balance the syllables in the word “boulevard,” in “Sunset Boulevard,” in a natural manner. Not even the current Broadway revival of Sunset Boulevard manages this achievement. Classic 1980s/1990s tenor power ballads on the album include Boublil and Schönberg’s mighty duo “Why God, Why?” (Miss Saigon) and “Empty Chairs at Empty Tables” (Les Misérables), “If I Can’t Love Her” (Beauty and the Beast) and “Anthem” (Chess). Alexander has the soaring range and vocal power to easily conquer these classics, but the additional asset he brings to these oft-recorded hits is the luxuriously warm romantic tone of his voice. There is a strong sense that the renditions of these handpicked songs are labours of love, giving the album an live, intimate feeling. 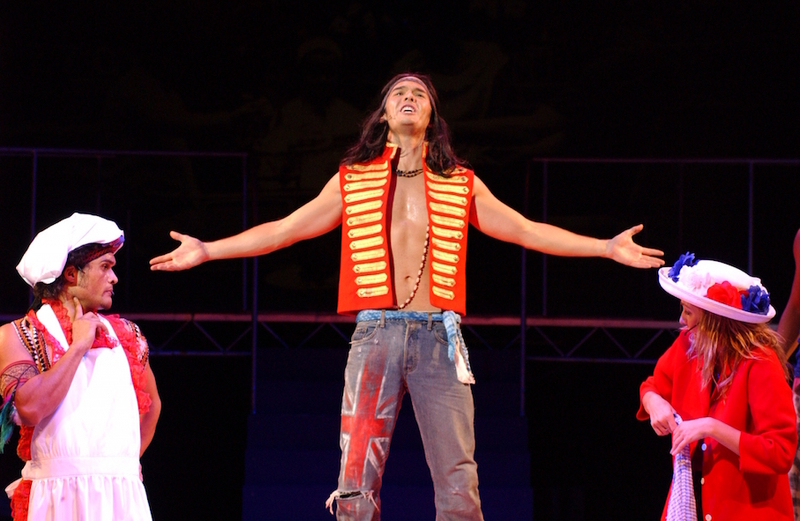 One show where Alexander does not go for the tried and true choice is Jekyll and Hyde, skipping over the bombastic “This is The Moment” to instead power through “I Need To Know” to thrilling effect. Another terrific choice amidst the well-known selections is “It All Fades Away.” The most recent song on the album, this song is from the 2014 Broadway musical The Bridges of Madison County (which is in urgent need of an Australian premiere). One of the most gorgeous and surprising arrangements is for classic tune “Edelweiss” (The Sound of Music). The well-known song is given a fresh, improvisational feel, its tender sweetness cleverly offset with a melancholy cello solo. For the smattering of duets on the album, Alexander is partnered by a choice selection of stars of the Australian musical theatre stage. 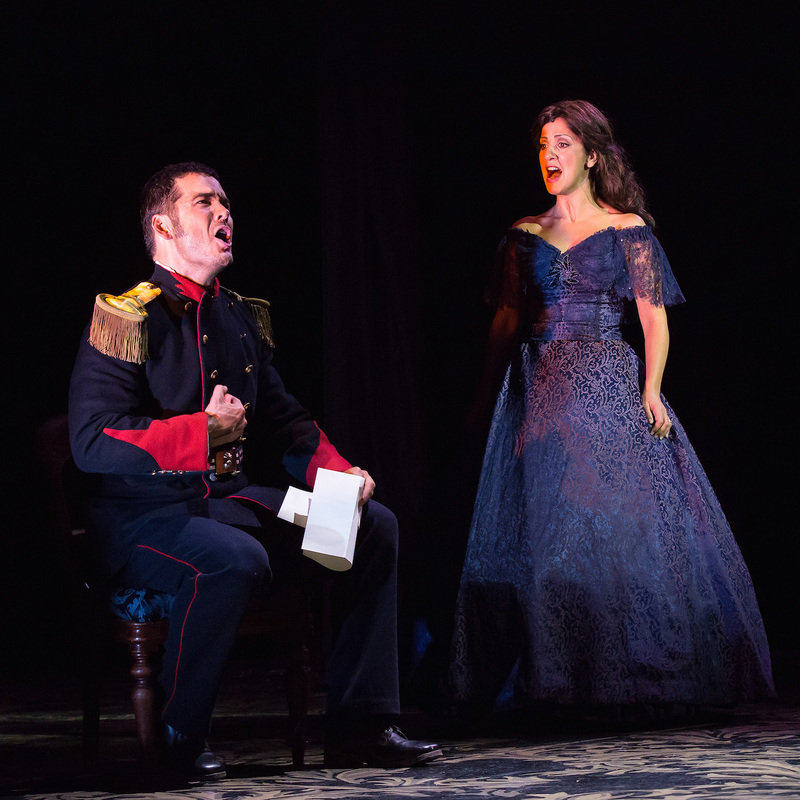 Natalie Mendoza, a cast mate from more than twenty years ago in the Tenth Anniversary Australian production of Les Misérables, joins Alexander for a special arrangement of Oscar-winning song “Falling Slowly” (Once). Beloved songbird Silvie Paladino accompanies Alexander on the truly lovely duet “Sun & Moon” (Miss Saigon). Talented young soprano Claire Lyon partners Alexander on exquisite duet “One Hand, One Heart” (West Side Story). And prepare to swoon when acclaimed actor Simon Gleeson joins Alexander for “Lily’s Eyes” (The Secret Garden). While Alexander’s characterful rendition of jaunty tune “All I Care About is Love” (Chicago) reveals him as an ideal Billy Flynn, the most exciting potential role previewed on Different Stages is the lead role of Broadway’s longest running musical. Alexander concludes the album with a superb performance of “The Music of the Night,” portending that his handsome features could one day be covered by the Phantom’s mask. 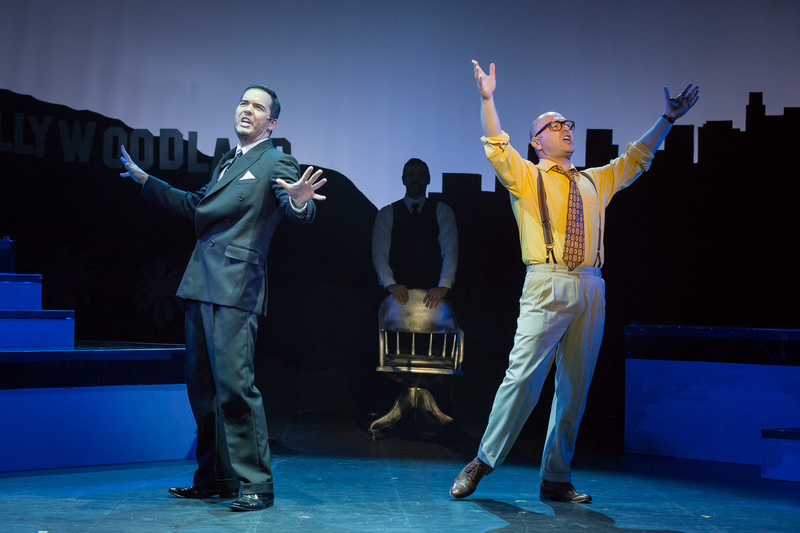 Musical theatre fans will find plenty to enjoy on Different Stages. Lovers of big Broadway tenor voices will be sure to cherish the recording.